The use of biological controls is common on many crops as they offer an extremely efficient and cost effective option for pest management. Use of beneficial insects with careful use of a few selective insecticides as Integrated Crop Management (ICM) can result in excellent sustainable pestmanagement at minimal cost. Organic growing and pest control in areas or crops where no pesticides may be used necessitate the use of biological pest control methods. Biological control with parasitoids, predators and pathogens is a vitally important element within a full Integrated Pest Management (IPM) programme. Cultural control including good hygiene, the environment (as affected by temperatures, humidity, ventilation, watering and spacing), use of ground cover materials, weed control, crop monitoring and recording from sticky traps should be the first steps in an IPM programme. A basic understanding of pest identification, biology and recognition of plant damage symptoms is useful and will be gained with experience. Biocontrol agents invariably work better as a preventative measure or when introduced at the very first sign of pest damage. Selective IPM compatible pesticides that can be used to prevent pest damage are available for use within a complete programme. 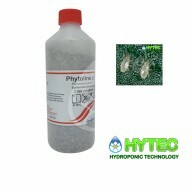 Phytoline p (Phytoseiulus persimilis) In vermiculite, 500 ml bottle, vented lid, 1000,2000 OR 10,000 Type: Small orange/ red predatory mite, has been used for over 45 years. How it works: Predator actively hunts and attacks all stages of mites. 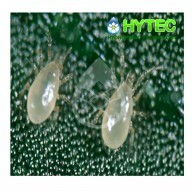 Species controlled:&n..
Montyline am (Amblyseius (Typhlodromips) montdorensis) Type: Predatory mite. 50,000 in tube How it works: Predates but can survive in the absence of prey feeding on pollen. Species controlled: Predates on whitefly (eggs and larvae), as well as thrips. It wil.. 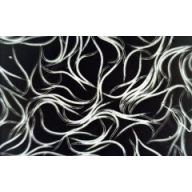 Type: Insect parasitic nematodes. How it works: Application releases nematodes which seek out insect larvae. Species controlled: Shore fly (Ephydridae). The same nematode can also be used for caterpillar control. When to use: As soon as pest s..